For all the months of research that home theater and music enthusiasts put into finding the right speakers and electronics for their home theater or stereo music systems, few pay attention to the actual listening room where the setup will be installed. This one link in the chain can be hugely influential on the quality of reproduced sound. It's no surprise that experts often refer to the listening room as "the forgotten component." A room's particular dimensions—indeed, the arithmetic multiples of its height, width, and length—plus its unique mixture of hard (reflective) and soft (absorbent) surfaces will have profound effects on the quality of the sounds you perceive from your multichannel home theater or simple stereo music system. From the Message Boards . . . Using the "golden ratios" for room dimensions, I am building my home theater. The room will be 7-ft. 3 inches high by 11-ft.7 ¼ in. wide, by 16-ft.10 ¾ inches long. From what I have read, the dimensions I have chosen (as a ratio of 1:1.6:2.33) are best for minimizing room peaks and nodes. I am planning to have two rows of four theater seats in the room. These measures should really tame the bass response (hopefully to nearly ruler-flat! ), but what about the rest of the spectrum? I have read that room reflections are what generally muddy the sound of even the best systems, so how should I treat my walls? Do I leave the front wall solid, to allow reflections towards the seating, and then deaden the ceiling and the side and rear walls to eliminate reflected sounds? Do I leave a portion of the sidewalls un-deadened to allow some reflected sound? All good questions. 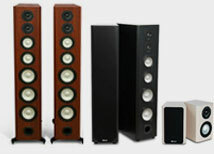 For those who have the luxury of actually building a room dedicated to home theater, who can choose the dimensions in advance, the "golden ratios" cited above will go a long way to minimizing those pesky standing waves which, in lots of rooms, can make low bass disappear in some parts of the room, while delivering overwhelming bass at other locations. The idea of the golden ratio is to find a combination of height, width, and length wherein the room dimensions are not arithmetic multiples of each other. The worst sort of room would be a perfectly square cube. An asymmetrical room, where no single dimension equals or is a multiple of any other, would approach the ideal. Unfortunately, most of us are stuck with the existing room dimensions and room shapes supplied with the house or apartment we live in. Short of demolition, they can't be easily altered. So we accommodate the room by adjusting the location of the subwoofer and/or moving the listening seats, in order to achieve the smoothest, deepest bass available to a few audience members on the couch and nearby chairs. But room reflection and absorption is of equal or even greater importance. Too many reflections can inhibit dialog intelligibility and make an otherwise smooth, linear and natural-sounding loudspeaker uncomfortably shrill or bright. Conversely, an excess of soft and absorbent surfaces—too many draperies, upholstered chairs and sofas, and treated wall surfaces—can make a room unnaturally "dead," with none of the spacious and airy qualities that make live music seem real. This also applies to film music scores that form the background of virtually every movie soundtrack. In large cinema auditoriums, of course, dialog intelligibility is paramount. You can't have 500 audience members lining up requesting ticket refunds because they can't understand the movie dialog. 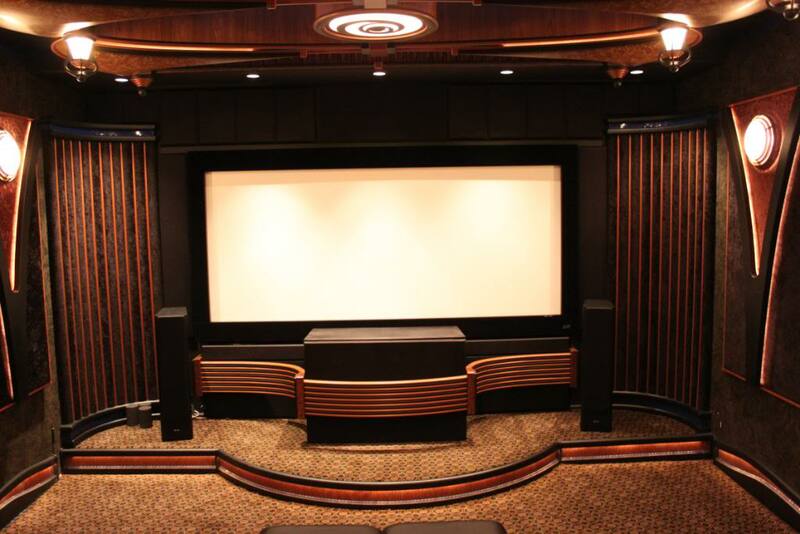 Consequently, commercial cinemas use big horn-loaded center-channel speakers behind the screen with carefully controlled directivity to overcome the unnaturally over-damped environment. These offer broad horizontal coverage and narrow vertical dispersion—the latter to prevent ceiling bounce that would inhibit dialog clarity. 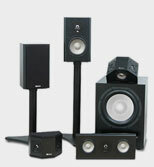 This is not to suggest you should use a horn-loaded center channel speaker in your home theater. In fact, the results would be negative because the grossly colored midrange and treble of the horn would be overwhelmingly inaccurate and very noticeable in a smaller and normally-damped room, like a normal living room. 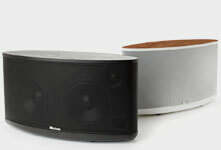 You'll get much more natural-sounding dialog with a conventional non-horn center-channel speaker. Large cinemas also use upholstered seating and treated walls to further aid absorption and inhibit sidewall reflections. The rows of surround speakers down each sidewall supply whatever ambience the movie's director and sound engineer desire. Remember, too, that the distances involved in large movie auditoriums are much greater than in a typical living room or dedicated home theater. Sounds travel at about 1 foot per millisecond, so some reflections in a typical living room have far less negative potential than in a big movie auditorium. Indeed, for domestic rooms, you want a mix of absorptive and reverberant characteristics. would be terrible for listening to music. For music listening in multichannel Dolby Digital, DVD-Audio, SACD (or in stereo), the walls to each side of the main speakers should have some reflective qualities. The scientific reason for this comes from some uniquely Canadian research on loudspeaker dispersion and controlled subjective listening conducted at the National Research Council (NRC) in Ottawa over many years. In double-blind listening tests, the speakers that were rated the most "spacious, airy and open-sounding" and thus, more natural, had lateral off-axis responses that most closely approximated the on-axis frequency response. (The results correlated very well with precise anechoic chamber measurements of a speaker's lateral dispersion.) It was the secondary reflections (from the side walls) that reach your ears a few milliseconds after the direct sound that greatly influenced the subjective impressions of the speaker's performance. If these side-wall reflections are absorbed, the spacious character of the reproduced sound will be lessened. It's always something of a trade-off between movies and music. Too lively a room, acoustically speaking, will result in too many reflections that may affect dialog clarity. On the other hand, you do want to preserve those lateral sidewall reflections from your main speakers because those will add to the spaciousness of music and movie scores. 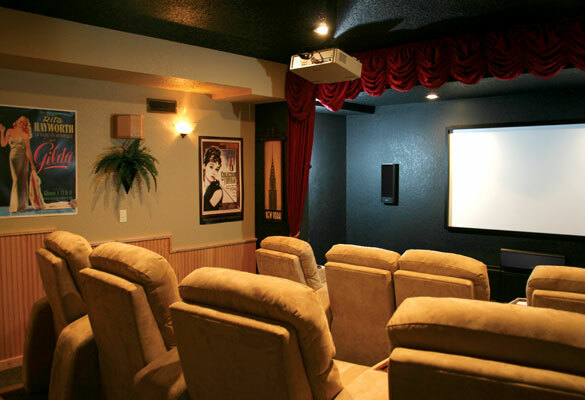 "The biggest mistake I've seen people make is their getting compulsive or fanatical and building special damped and/or reflective rooms for their home theater. I have been in some of these rooms (costing up to $250,000, and built by so-called professionals) and they are horrible-sounding. My theory is that we live in known environments and we are used to hearing sounds in these environments. For example, consider the sound of an acoustic guitar or even a clinking of wine glasses. We know what these sound like in our living rooms and outside. All these sounds become references of what we think these events should sound like. If you re-created these sounds or events in a "special" room, they would sound different, and hence unnatural. So avoid the danger of listening-room obsessiveness and don't change your room very much. I would suggest starting with small tweaks to get the bass right and the treble natural and clean-sounding, but don't go overboard or you can create an unnatural and hence bad-sounding room." To that end, large areas of bare tile or hardwood floors without area rugs should be avoided, as should big expanses of glass and brick, or other highly reflective surfaces. But even these can be modified with attractive fabric wall hangings, ornamental carpets, or curtains. 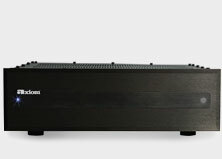 And what of "bass traps," those expensive padded cylinders and screens that are sold to naive audiophiles and claimed to absorb problematic standing waves in the low bass? For the most part they don't work, because the wavelengths of low bass frequencies are so large that any "trap" would have to be of ungainly dimensions to become effective. They can be built (there are several in the NRC's listening room) but they are large and ugly. No domestic partner, no matter how tolerant, would put up with them. So there you go, Danny Decorators, a little holiday project for the whole family: scatter a few throw cushions about the room to soak those nasty reflections.